This August marks one year since Marble Arch Partnership launched its Street Team. 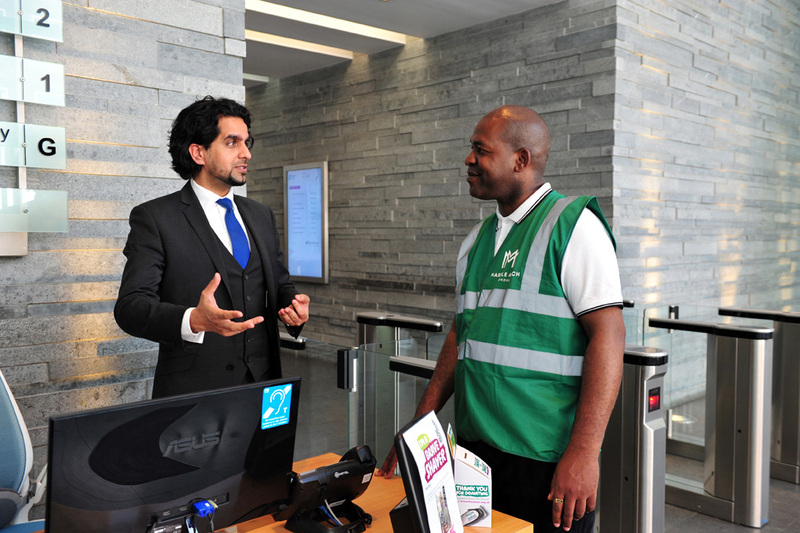 In their first year, the team has made substantial inroads in ensuring our businesses, their staff, customers and guests, residents, community and visitors feel safe in the area. Check out the notable numbers and see how you and your business can benefit. This year has seen the members of the Street Team clock over 8,000 hours of service, working Tuesday to Saturday, from 8:00am to 8:00pm in the winter and extending to midnight during the summer. The Street Team has responded to business needs by adding extra patrol hours, with their patrol schedule set out below. 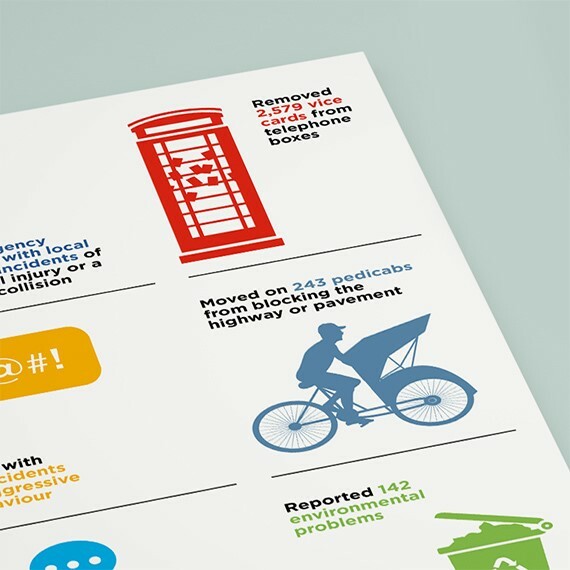 In 12 months, they responded to, elevated and assisted with 5,226 incidents in the BID area. 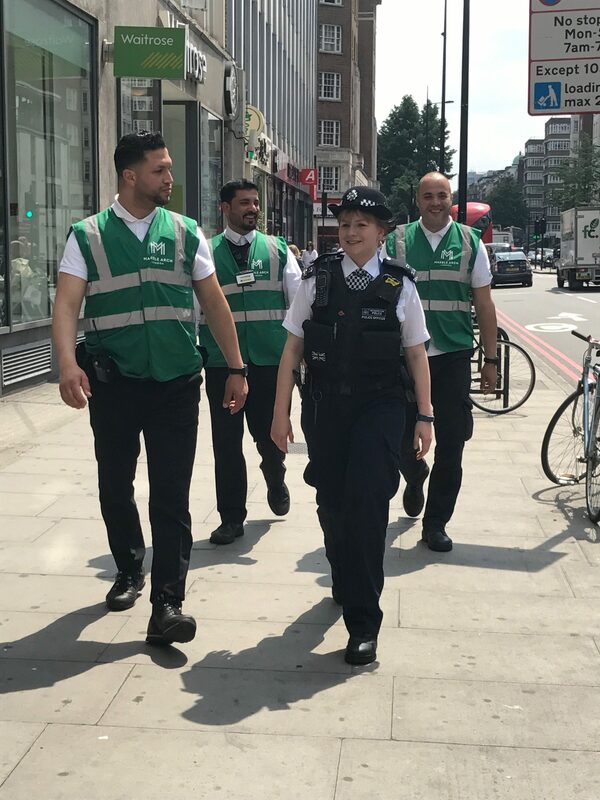 With the support of the Metropolitan Police, Transport for London and Westminster City Council, the Street Team has dealt with everything from catching criminals and defusing confrontational situations to supporting the emergency services and connecting people with their lost property. The majority of incidents, 4,240, involved Anti-Social Behaviour, whilst Environment was 379, Community Assistance was 350 and Business Support was 257. Download the infographic showing their first year at a glance. In just one year, the Street Team’s presence has become recognisable within the community, and has sent a powerful message – Marble Arch and Edgware Road are safer spaces within the Westminster community. The Team’s efforts were acknowledged by Westminster City Council in receiving the Highly Commended Neighbourhood Project Award in the 2017 Westminster Community Awards. We have received excellent feedback on the Street Team’s work from residents, businesses, schools, ward Councillors, the community and the Metropolitan Police. As an ongoing asset to the BID, its members and the surrounding areas, we welcome feedback on the Street Team’s work. Your insights and thoughts are vital as we will be reviewing the Team’s performance in the autumn prior to renewing or re-tendering our contract with the Street Team’s provider – Andrews International – before 1 April 2018. Please take our survey as part of the retender process. If you’d like to book an appointment with the team, please email StreetTeam@marble-arch.london to arrange, or simply look out for them in the area. Call them on 07825 750777. Remember, in an emergency, or if a crime is in progress, please dial 999.